I advocate that managers provide performance feedback using direct observation as much as possible. In my previous articles, I recommend that managers set up practice environments and attempt to observe the performance directly to understand how an employee performs. I feel that if this is not done in your work environment, this is bad management design. 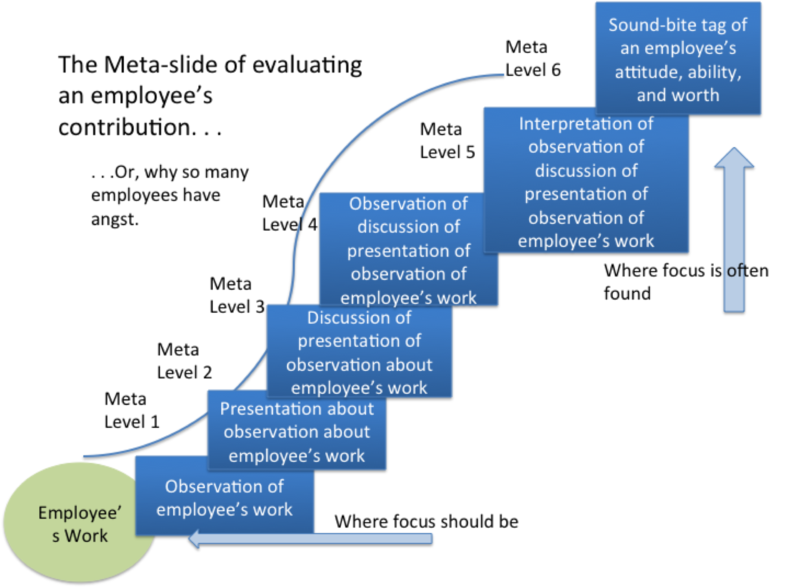 There is a third form of “direct observation” a manager can use to provide performance feedback: tangible artifacts. When an employee does their job, they create all sorts of “artifacts” – the things they are supposed to produce. These can be things such as a project plan, software code, an analysis, an engineering schematic, a recording of a customer service call, a plate of food, etc. I call these things tangible artifacts. If you can print it out or touch it, then it is a tangible artifact. So email would be considered a potential tangible artifact. It is basically something that the person produces, whether digital or physical. 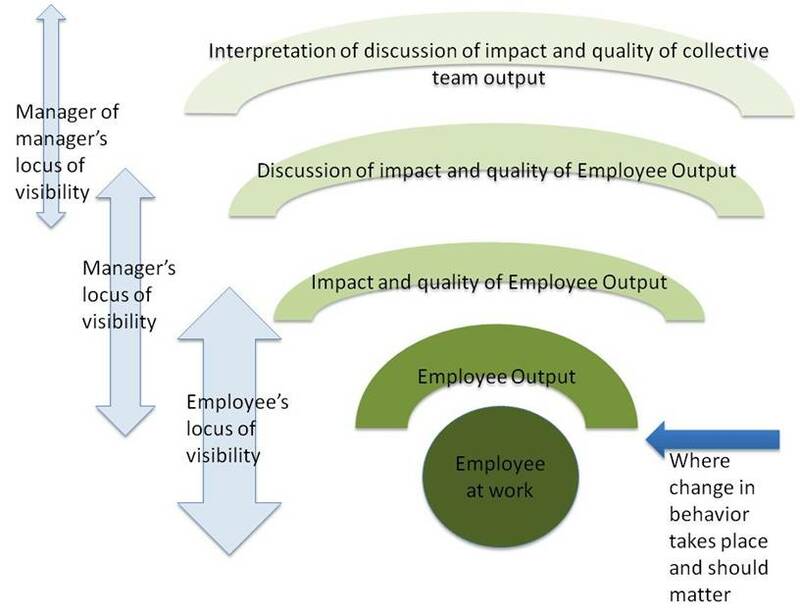 With tangible artifacts, the manager can provide performance feedback to the employee. In many cases this is a great source of direct observation of the employee’s performance. The manager can sit down with the employee, observe the artifact, and say what it is that is good or should be changed about future artifacts. If it a call center agent, the manager can listen to a recent call by the agent, and discuss what was correctly done and what should be done differently. The manager can also look at the “artifact” of what the agent did in the Customer Relation Management system, and provide feedback on this. In a restaurant, the manager can taste the food and look at the presentation of the foot, and provide feedback on what the employee did that created the results. Too much salt? In my previous article, I discuss how managers tend to rely on indirect sources of information to provide feedback, rather than direct sources of information. This creates a common mistake for managers. They have to rely on some form of hearsay about the employee, and then they provide feedback on what the hearsay says. It is only an assumption that the hearsay is correct, and, for this reason, employees generally don’t like getting “performance feedback” on such hearsay. Also, the feedback tends to not make any sense. In today’s article, I’d like to discuss how to increase the amount of performance feedback based on direct observation. Let’s talk about “practice of the performance.” Not many managers consider this an option or utilize this, but this is a rich and useful source of providing performance feedback. Imagine an employee needing to do a critical presentation. The manager can improve the chances of success by scheduling a “practice” session of the presentation, in this case, “the performance”. –The performance feedback is specific to the performance and immediately given. You can stop the “practice” at any time and give feedback. That makes it as specific and immediate as possible, and increases the chances that the feedback will be behavior-based.